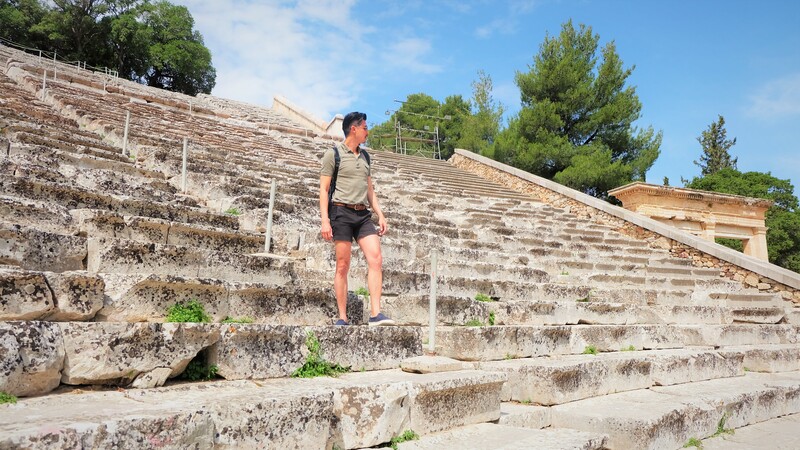 If you are a history buff and a music lover, you will have to make a pilgrimage to the Ancient Theatre of Epidaurus. 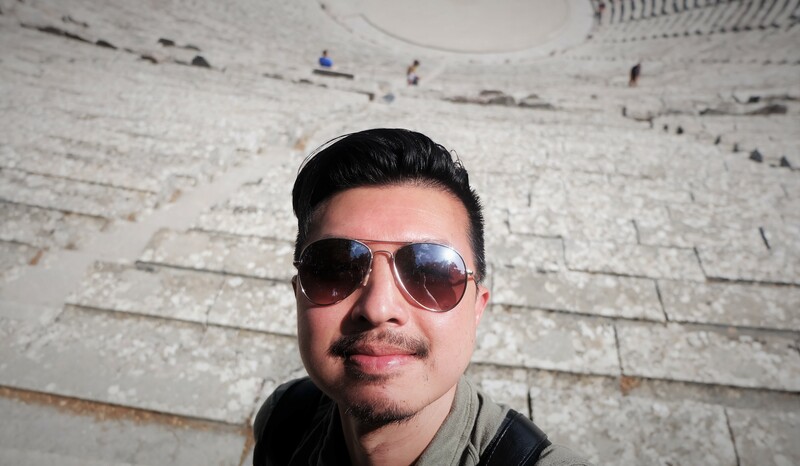 Built in the late 4th century BC, the Ancient Theatre of Epidaurus is considered the most perfect Greek theatre in form, acoustics and size, and it is used even until today. 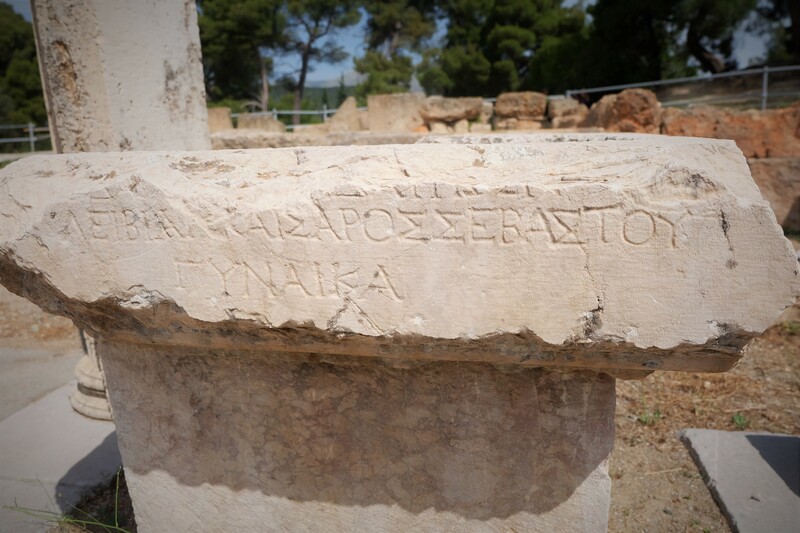 The theatre is located just outside the Santuary of Asklepios, which was a well-known healing centre in ancient Greece dedicated to the God of Medicine, Asklepios. 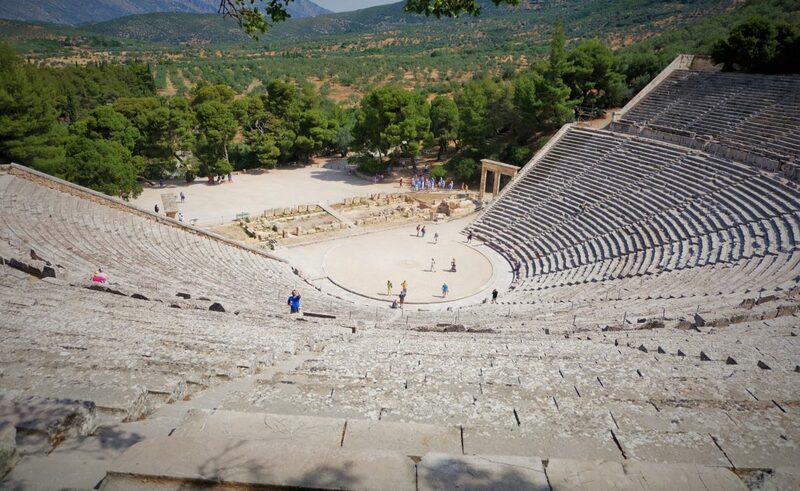 According to the accounts of Pausanias (a 2nd century AD Greek traveller), the theatre was constructed by the architect Polykleitos the Younger. 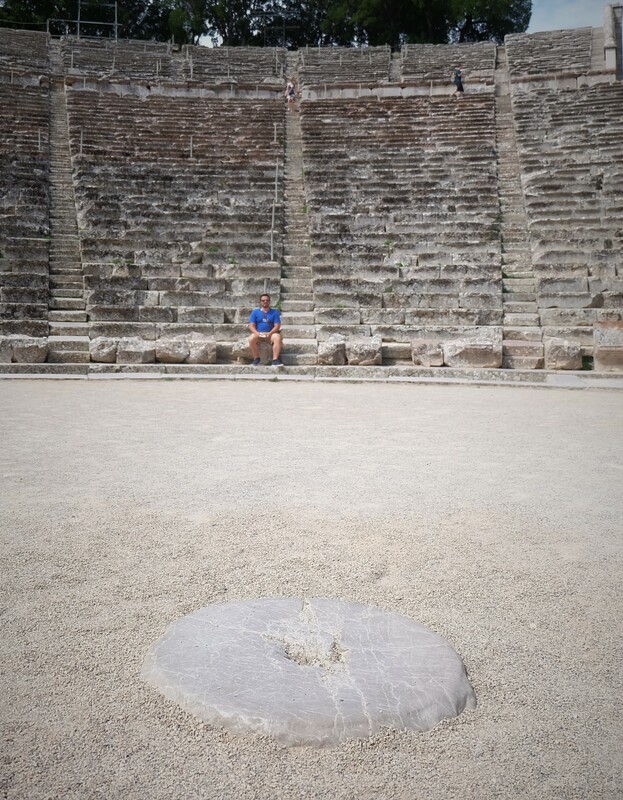 When filled to the brim, the theatre could sit 15,000 spectators and it hosted music and drama performances in the worship of Asklepios. Pausanias also recorded that it was believed performance art had a positive effect on the recovery of the patients who sought healing at Epidaurus. But nature slowly took over as trees started to cover the slopes of the amphitheatre. 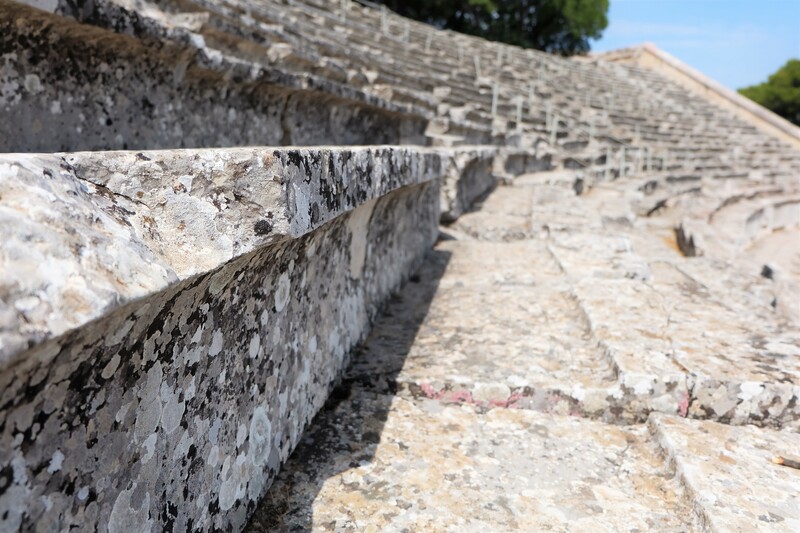 Excavations began in 1881 to rediscover Epidaurus and by 1938, the theatre was once again hosting performances. 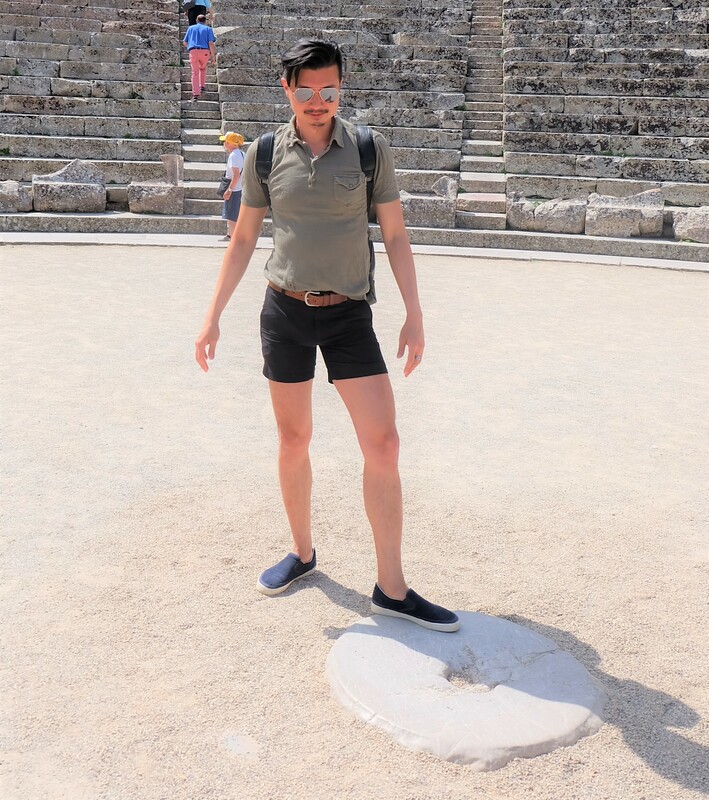 Why is the Ancient Theatre of Epidaurus perfect? First of all, it is the best preserved ancient Greek theatre of all times. Nowhere else in the Greek world is a theatre so well-preserved. Everything, including the two side gates, were restored. The only part missing is the theatre building itself where the empty spot now serves as an entry point into the theatre. Secondly, you will see a round stone on the ground marking the spot where the performer performs. The sound is so audible throughout the whole theatre, that you will be amazed by the ancient engineering prowess of the Greeks. You won’t exactly hear a pin drop, but your voice is clearly reverberated throughout the theatre all the way to the top and not as an echo. Last but not least, the theatre is so symmetrical, you’d wonder how the ancient Greeks built it without modern construction machines. The symmetry allows any spectators sitting in any corner of the theatre to see and hear the performance. Curious? Now you really need to go experience this ancient wonder yourself! The Ancient Theatre of Epidaurus and the Sanctuary of Asklepios are situated in the Argolis prefecture of the Peloponnese. It is about half an hour’s drive from Nafplio and two hours from Athens. Before you go, find out more about why Delphi was the Navel of the World, and why you should make a trip to the site of ancient Olympic Games.